Listen to the emotionally stimulating sound of Johannes Drinda, the famous and gifted whistler-musician. He performed in many over the world great halls and venues, even performed upon personal requests from actor Paul Newman (Walt Disney) and comedian Billy Connolly for his "World Tour of Australia" book and video. Johannes' unique musical affinity, abilities and interpretations are purely intuitive; i.e. based on emotional perceptions, rather than technicalities or robotics. 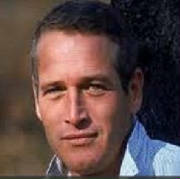 Actor Paul Newman requested, enjoyed Johannes' music...and even considered it for his latest movie.. 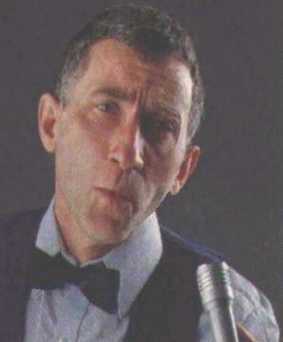 In 1988, Johannes discovered and developed his unique style of whistling to classical and/or popular music. He also discovered, but not yet developed (for reasons of priority), his latent potential as a composer. His repertoire comprises more than twenty-eight hours, stretching from classical composers, such as tunes from Suppe, Rossini, Mozart, Brahms and Schumann to contemporary musical works and interpretations by musicians, such as Liberace, Cleyderman, Wunderlich, Bota, Piacentino etc. Johannes' repertoire even includes traditional ethnic music, such as Italian, Spanish, Vietnamese, Arabic, Russian gypsy tunes and may be extended to suit your specific requirements. The late conductor of the Sydney Symphonic Orchestra granted Johannes infinite permission to perform to tourists at the Sydney Opera House. In 1988, Johannes was awarded the first prize at the "Mostly Mozart" musician's contest by the late conductor of Sydney's Symphony Orchestra Stuart Challender and in 1990, shortly after his return from two performances in NY/New York at the Joe Franklin Show, he received two letters from the actor Paul Newman and a letter from the late German organist Klaus Wunderlich. In 2ooo, Johannes performed with world renown concert pianist Prof. Gerhard Erber in Leipzig/ Germany. - In 2014, Johannes was awarded the "Global Commendation for Outstanding Contribution to Artwhistling" (OCTA), in which the judges were greatly impressed by Johannes's emotional, musical creativity. During the last decade, he performed on numerous occasions in public, clubs, on Radio and TV Shows, such as in Australia's "Hey, Hey It's Saturday! ", "The Morning Show", "Andrew Denton Show" and his whistling to music has been recorded in several movies, such as 'Walk The Talk' and 'The Green Apple' (NY), commercials and exposures in Australia, USA, Switzerland, Iceland, Vietnam, Greece, Japan, Chile and Germany. During many years of public performances at the famous Sydney Opera House Johannes attracted and motivated lots of young people from all over the world, eager discover their own unique abilities and talents. - Thanks to his own philosophical development Johannes was able to convey his philosophical advice and they in turn encouraged Johannes to detail his insight in writing. The initial problem was, that Johannes never wrote a book in English language, yet finally, after some practice he managed to write his first book, titled: 'A Guide To Personal Contentment'. It is now available (at www.lulu.com). Please enter the book's title into Lulu's search box and then peruse its ten page Preview. At this very moment Johannes is busy writing a couple more philosophical books/ guides, titled "Grandpa's Insight"; a practical self-tutor for young people, who thus far, only enjoyed philosophical guidance from their peers, from googling the Internet, rock music lyrics etc. and miss or resent the philosophical guidance of their parents and grandparents. Johannes whistling to Pop and classical music. 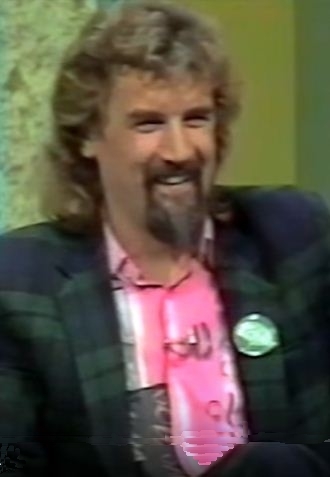 Billy Connolly invited Johannes to perform in his movie. B O O K S ! -> Click HERE to preview Johannes' book! World renown concert Pianist Prof.Gerhard Erber, Leipzig/ Germany praised Johannes' musicianship. 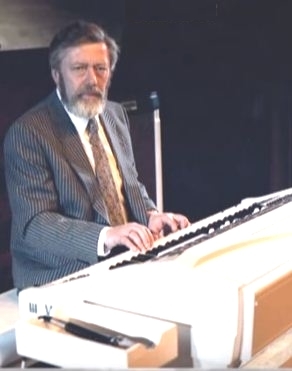 The great organist Klaus Wunderlich analyzed and favorably assessed Johannes' musical creativity.